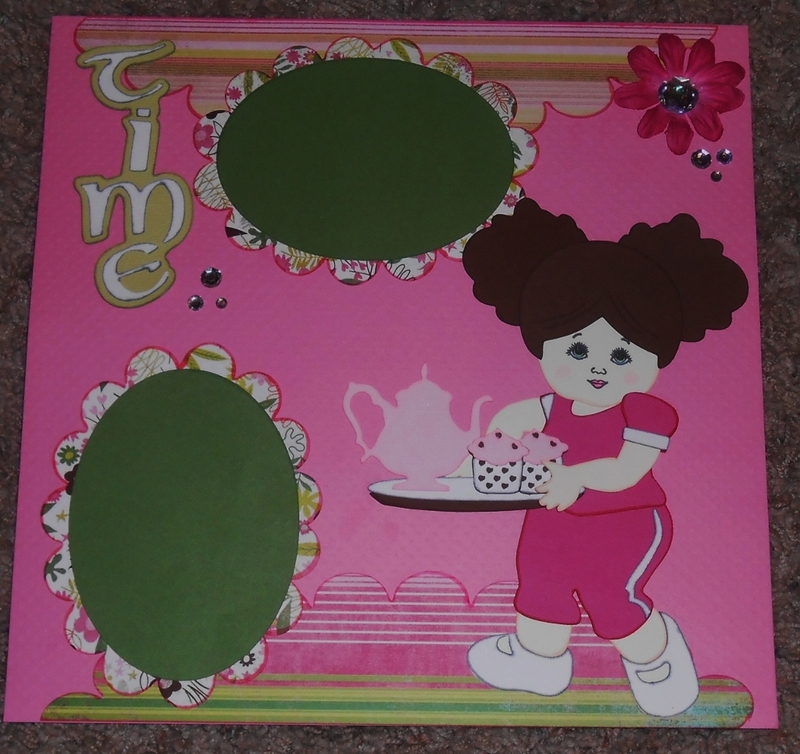 We invite you to create any project featuring a cricut cartridge cut that has to do with time. 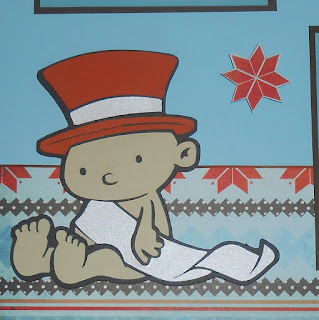 When I saw the Cricut Craft Room Seasonal Characters I knew I had to create a layout with Baby New Year and Father Time. They are super cute. Don't you agree? 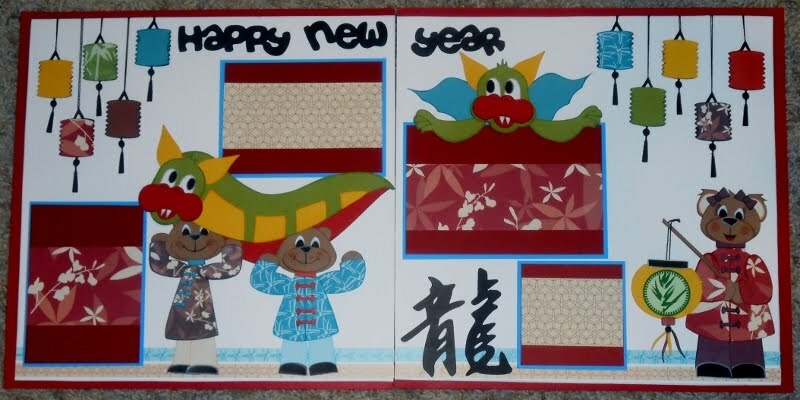 You might recognize a couple of other Cricut Carts on this layout too. For my title I used Create A Critter 2. No welding invloved! The Happy New Year title is super easy to cut and use. 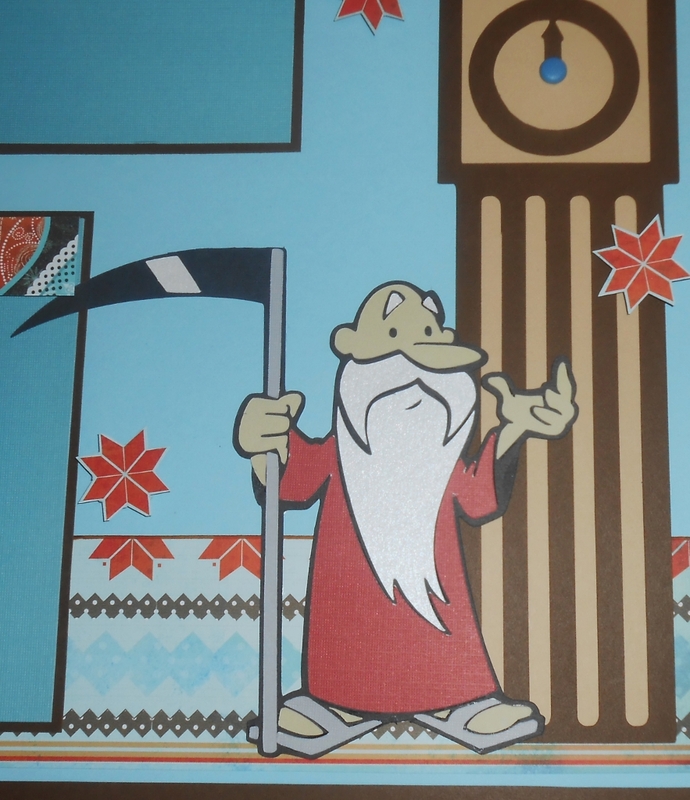 And my big Clock Tower was created using the Creative Memories Traveler Cartridge. I simply cut off the very top part of it to make it look like this. 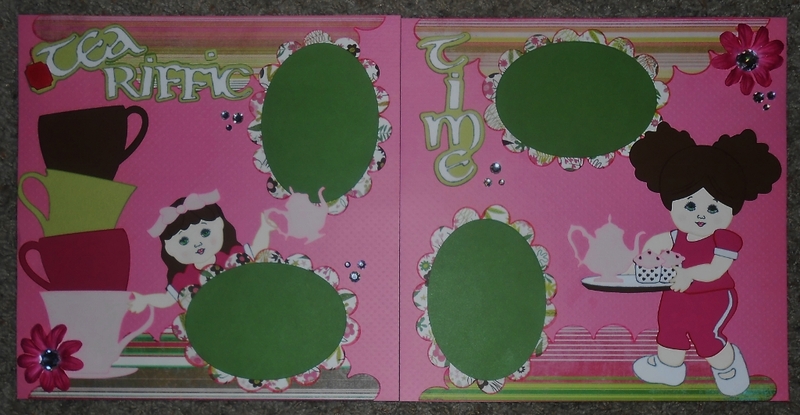 I also fancy cut some of the orange designs in the patterned paper and pop dotted them around the layout. Kind of like special snowflakes! I didn't add photos on this yet but don't worry I will. I have about 4 years of catching up on layouts to do. LOL! Don't forget to enter this month's Challenge Contest..you have 4 more days to enter and you could win a mini kit from Echo Park!! I really enjoyed creating this layout because as you may know I have boys only in my house so I never get to play with pink or sweet little girls. 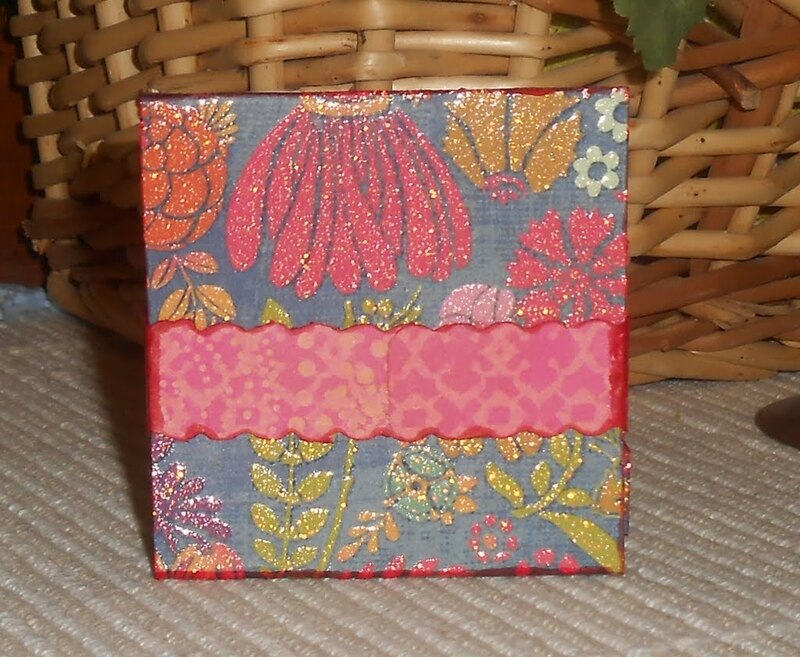 I had to create this with lots of pinks and you know I had to add some bling! LOL! 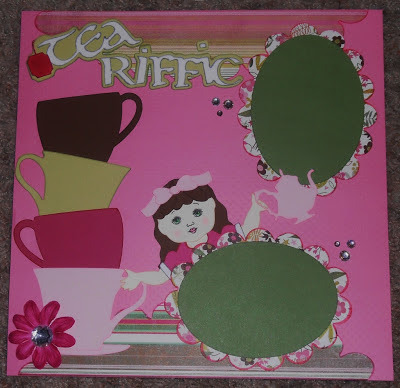 Doesn't this file make you want to have a tea party with your kids or grandkids? I know I want too! This little doll I have named Emma. Isn't she cute? She is super excited to pour you a cup of tea!! And this doll, Kathy, is the hostess with the mostess!! 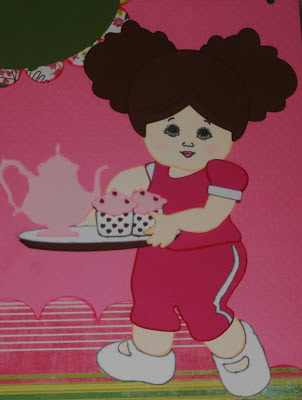 She baked those cupcakes fresh this morning! 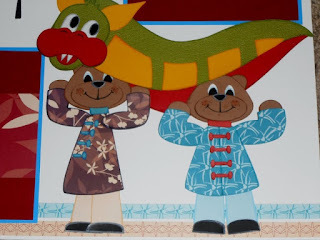 Until next time, friends....scrappy hugs! 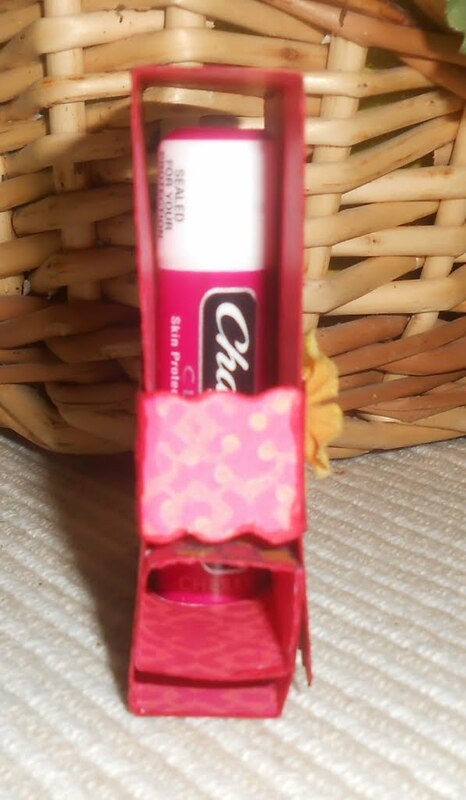 My dh loves chapstick so this totally adorable file from Cheryl is perfect for my Sweetie!! 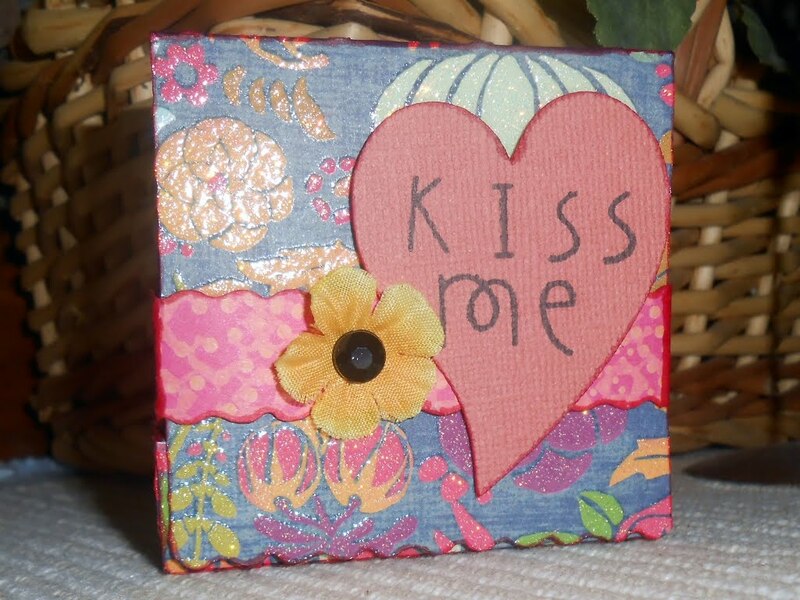 Add a saying like Kiss me and he should be all ready to pucker up on Valentine's Day with soft subtle lips. LOL!! Can't wait to see our next BAP!! Hope you will join us! Don't forget to enter this month's Challenge Contest..you could win a mini kit from Echo Park!! 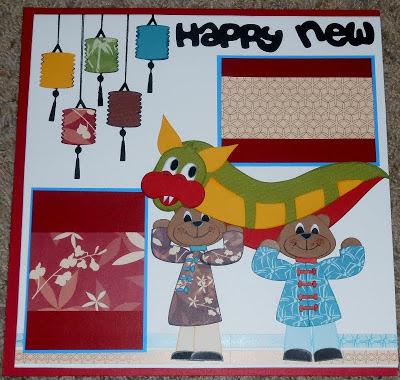 I wish I celebrated the Chinese New Year because Cheryl really outdid herself with this file. Don't you agree? 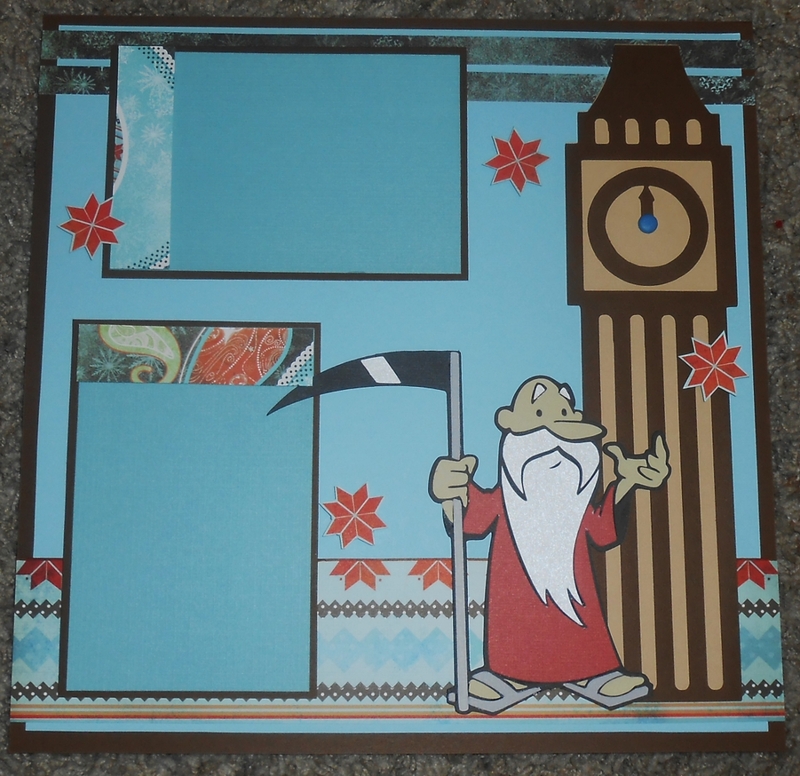 This amazing file includes everything seen here except the bottom border and photo mats. The paper I chose to use was from some really old CM customer gifts. It's bright colors and patterns were the perfect fit! These little boy bears with the dragon are my favorite part of this file! 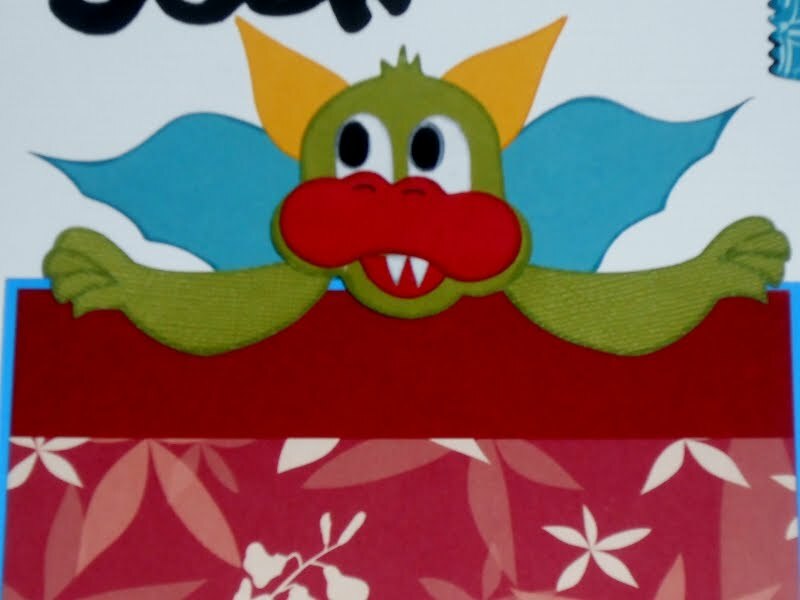 This photo mat topper can be made a boy or girl dragon. And this little girl bear just makes me smile. She is so cute! 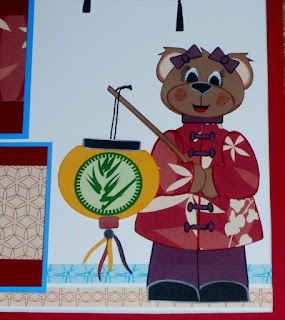 The lanterns all have black twine hanging them off the tops of the pages. 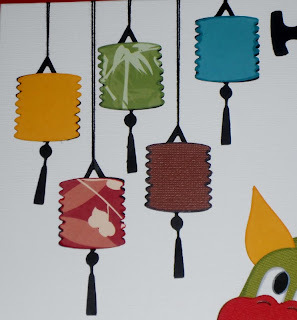 And there is alot of pop dots being used here to give it that great 3D look! We invite you to create any project featuring a cricut cartridge cut that is masculine. I chose to use Creative Memories Traveler Cartridge for both the tent and the title. This cart has so many awesome designs as well as several font choices. Don't know where to buy it?....ask me!! I made the tent look like there is 3 layers but it is really only two. I used my copics to add that 3rd color. Wala! This is my young man attending his last Boy Scout Camp before he decided he didn't want to be a scout anymore. It was a sad day when he made the decision. I was his leader all through cubscouts and he truly loved being a scout. But I guess when they enter high school they find new dreams and ways to spend their time. For my son, it's all about the Band and Drumline, and I couldn't be more proud of him! I'm ready for my Valentines with these adorable pillow boxes!! OMG I love these so much. And seriously so easy to make! They will rock stuffed with candies...yum! I hope you all enjoyed my Time Flies New Year's Blog Hop this past weekend. I want to first thank you all for hopping along with us. And I need to send a special shout out to all the wonderful ladies who created special projects for this hop. Now it's that time...time to pick our winner!!! YAY! Good Luck everyone!! "All aboard the party train!!!! WOOT WOOT!!! I love this layout... Not sure what I love most... it just all goes so well together!!! Fabulous job! :)"
Kimi, drop me an email so I can get this file to you! 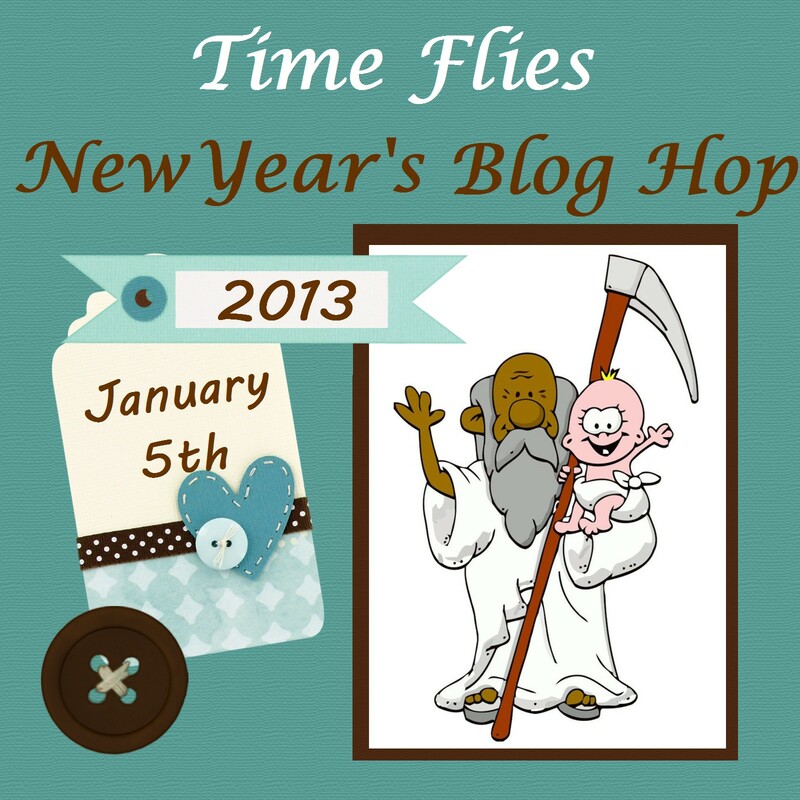 Welcome to the "Time Flies By New Year" Blog Hop with Connie Can Crop and friends. 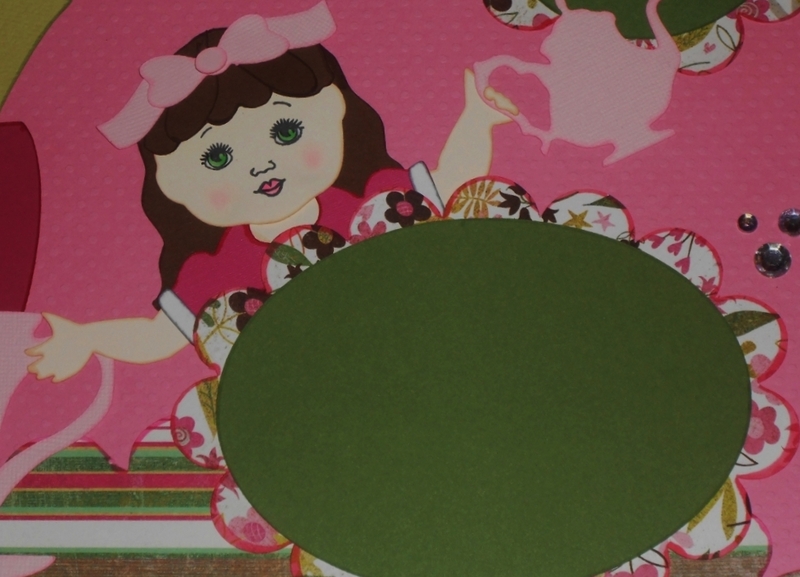 Today we invite you to come check out this great group of crafters who will be showcasing cards and layouts having to do with time. I am the first stop in this hop so be sure to come back and leave your comment after you have finished the hop. 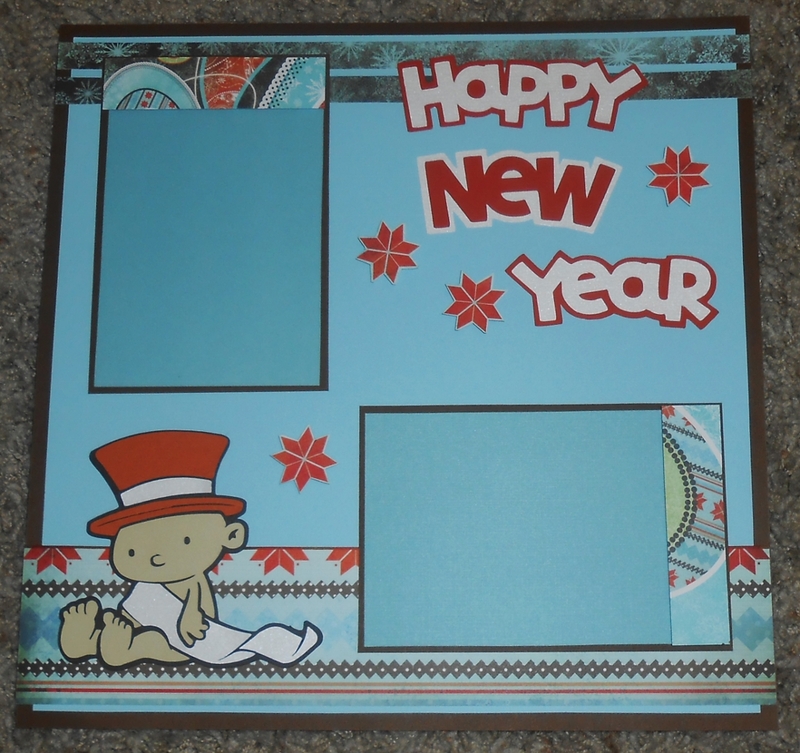 We have a fabulous sponsor, Creative Kuts (http://creativekuts.blogspot.com/), who is generously giving away this really cute New Year's SVG file. So what do you need to do to win? Easy... become a follower of each of the fabulous blogs in this hop and leave each of us a comment letting us know what you like best about our projects. 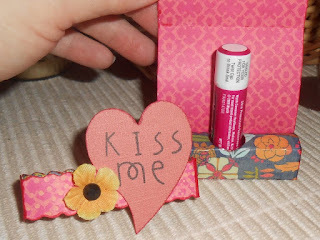 Then head over to http://conniecancrop.blogspot.com/ and post that you followed the rules. You will have until 9:00 pm Sunday to finish the hop and leave your comments. Ready to join in the fun? Let's go! I have been working on this layout all week and it fits perfect for this blog hop as well! 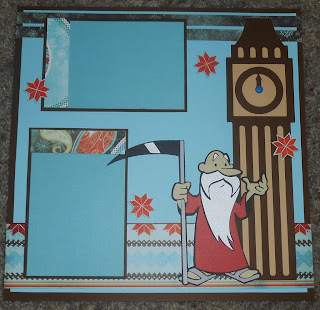 So I asked Cheryl over at Creative Kuts if I could give away this file and show it off for all of you. I didn't use the cute borders that came with this file because I wanted more room for more photos. I also hand cut a hitch to put on the last train car and tied my balloons to the hitch. I used twine for the balloons and bling on my clock. 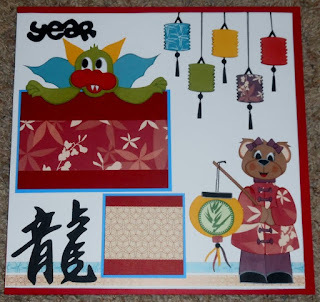 For my sand I used gold stickles. 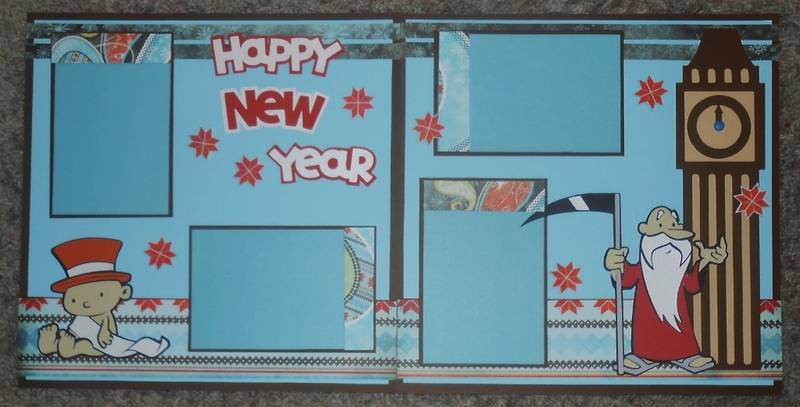 My family's pics of this New Years will look amazing on this layout! Thanks for checking out my project. I hope you enjoyed it! 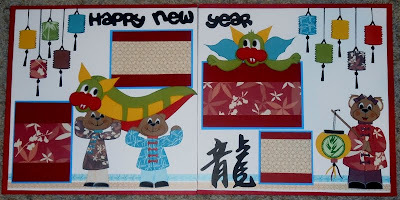 "Out with the Old in with the New"
Let's put 2012 behind us and start 2013 out with a bang! Please create one layout, altered item or a card. 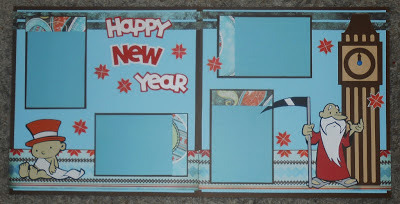 Your layout can be single page or double page. You may use any other products you wish. Just be sure that those items are somewhere on your project. When you are finished with your project please post it here in this thread. Be sure to comment below as to what item is new and what item is old. Entries are due by January 31st at 11:59 pm. 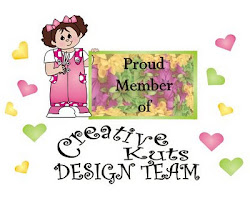 Our sponsor this month will be Honeybearz Designs. You need to link your project up below using Mr. Linky and include a link to your post where you are displaying it. You have until midnight January 31st to link it up. Oh and I am hosting a New Year's Blog Hop Saturday January 5th!! I know the holidays were extremely crazy and I thank you so much for taking the time to play with me!! I had three wonderful entries but as you know there can be only one winner. Entry number 3 you are my winner!! Contact me asap with your address so I can get your goodies mailed out.